$66.411 million on 3607 screens. Eventually audiences will tire of zombie-based entertainment, but apparently 2013 won’t mark that point. As evidence, World War Z did pretty well; with a US gross of $201 million, it didn’t dominate at the box office, but it still became one of the summer’s bigger hits. The film opens in Philadelphia, where we meet former UN investigator Gerry Lane (Brad Pitt), his wife Karin (Mireille Enos) and daughters Constance (Sterling Jerins) and Rachel (Abigail Hargrove). On a drive through the city, vehicle crashes pile up and crazed people swarm to attack and kill anyone they can find. It turns out an infection is at work, one that transforms folks into mindless, vicious zombie-like creatures. Each attacker spreads the disease to a new victim and thus the hordes multiply rapidly. Gerry and family narrowly escape Philly and head toward New York, where Gerry will reconnect with his old UN boss Thierry Umutoni (Fana Mokoena). Gerry gets recruited to head back into the field and track down the source/cause of the virus. This sends him to South Korea and then elsewhere on a worldwide journey to identify the origin – and find a solution. When Z hit screens, it did so with bad advance press. The production underwent a mix of problems, issues big enough to necessitate a massive rewrite well into the shoot. Normally concerns like that signal a movie that will flop. As noted already, Z did fine at the box office, but that doesn’t mean it also would offer a creative success. The film got generally positive reviews, and I lean in that direction, as I maintain a generally good feeling toward it. While I can’t say I love it, I think the movie usually works pretty well. On the negative side, the film’s computer graphics can become an issue. This especially seems true as reflected by representations of the zombies; when rendered via CG, those characters tend to look phony and they create distractions. In addition, the movie’s narrative tends to ramble. This becomes an issue largely as it connects to Gerry’s family. They play a major motivational role in the movie, as Gerry performs his actions mainly to keep them safe. Because of this, Karin and the kids end up as little more than plot devices – semi-forgotten plot devices after a while, too. They pop up when the movie needs them to motivate Gerry but usually they’re an afterthought – especially as the movie progresses. Indeed, one starts to wonder if the flick’s creators failed to remember their existence along the way. That said, no one goes to see a movie like Z for deep, rich family drama, and I should probably appreciate that it attempts to be more than just mindless zombie mayhem. Not that it works too hard to elevate itself, but it nods toward something more ambitious than the standard fare, and I like that. 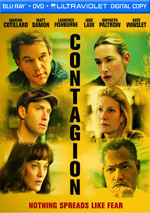 It comes across kind of like ”Contagion with zombies”, and I think that’s an interesting approach that gives the story more meat. None of this would matter if Z didn’t deliver the action we crave, and the film does fairly well in that regard. Given my prior experiences with director Marc Forster, I didn’t enter Z with much optimism, though. He made arguably the weakest Bond film ever and showed little flair for action, so I feared the worst here. Happily, Forster does much better with the material this time, as he manages to create attack/battle sequences with a reasonable amount of flair and power. These tend to work best earlier in the film, possibly because they become a bit monotonous; though the movie gives us fast, resilient zombies, their scenes still tend to blend together after a while. Nonetheless, the action bits manage good tension and drama, and they help keep us interested. 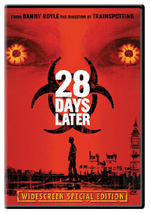 If done right, a movie like this could probably succeed with minimal action – the basic “race against the clock” motif of other virus-based movies comes to mind – but such a thrust would defeat the basic conceit of Z. It’s still a zombie flick at heart, so we want lots of crazed mayhem, and Z does pretty well in that regard. In terms of the cast, Pitt brings some gravity to the effort and gives it a depth it otherwise might lack. I also like the fact that the stars show no "Hollywood glamour"; the makeup remains spare and never makes Pitt or anyone else look “nice”. That’s appropriate, as the nature of the story works best when it emphasizes grittiness. None of this creates a classic horror/action movie, but World War Z has enough going for it to make it a relative winner. While it could’ve used a little more work to elevate it to a higher level, it still entertains and turns into a tense, exciting piece. 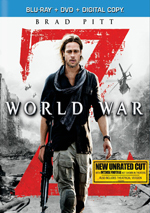 World War Z appears in an aspect ratio of approximately 2.40:1 on this Blu-Ray Disc. The Blu-ray appeared to replicate the source image nicely. Sharpness remained solid. Only a smidgen of mild softness ever impacted on wide shots, as the majority of the movie demonstrated positive and definition. Jagged edges and shimmering failed to occur, and I witnessed no signs of edge enhancement. Print flaws weren’t a factor; the movie always remained clean and fresh. Like most modern action movies, Z went with a stylized palette that favored orange and teal. Actually, we got reds, ambers and yellows in there, too, but the emphasis on less-than-natural hues remained. These could get annoying – I’m really sick of orange and teal - but they were reproduced well within stylistic confines. Blacks appeared deep and dark, while shadows displayed good clarity and smoothness. Overall, I liked this consistently positive presentation. With its action orientation, the DTS-HD MA 7.1 soundtrack of Z also worked well. The movie boasted a wide and involving soundfield. This showed up during scenes both loud and quiet. During the former, music offered nice stereo presence, and various environmental elements displayed quality localization and involvement. The bigger sequences added more pizzazz to the package. These used all the channels in a satisfying manner, as the action scenes created a lot of useful material. From start to finish, the mix used the speakers in a way that gave real life to the proceedings. In addition, audio quality was strong. Music appeared vivid and full, with crisp highs and rich lows. Speech was concise and natural; no issues affected the lines. Effects appeared to be accurate and lively. Those elements lacked distortion and they boasted nice low-end during their louder moments. Overall, I felt pleased with the mix. Despite the film’s high profile, we don’t find a ton of extras here. Probably the main attraction comes from the presence of the movie’s unrated version (2:03:03). The 1:55:53 theatrical cut appears only via the included DVD Copy. When compared directly, I start to think the “Unrated Cut” should be retitled the “Version With Stuff Chopped Out to Get Us a ‘PG-13’”. Virtually no additional narrative material appears here, as all the added snippets show up during action sequences. But we don’t get “R”-rated gore, either. The extra action tends to echo what we see in the theatrical cut; we simply get more of it. Granted, we do find a little added gore – like shots of a character who removes his own teeth, or images of blood spurting from an amputated arm – but I don’t think any of these elements on their own would escalate the rating above “PG-13”. If fans expect Romero-style graphic nastiness, they’ll not find it here. Because the longer version does virtually nothing to alter the narrative, I don’t think it works better – or worse – than the theatrical cut. It might be a little more intense given the added action beats, but it doesn’t change things in a notable manner. Again, it’s not even significantly more graphic than the “PG-13”; it simply delivers more of the same style of material. It’s fun to see as an alternative, but it doesn’t change the film in a substantial way. A few featurettes follow. Origins goes for eight minutes, 21 seconds and includes comments from producers Jeremy Kleiner and Dede Gardner, director Marc Forster, writer J. Michael Straczynski, and actors Mireille Enos. We learn about the source novel and its adaptation for the screen, how Forster came to the project, story/character areas, Brad Pitt’s involvement, and cast/performances. “Origins” lacks a lot of depth, but it throws out a decent set of notes. Looking to Science lasts seven minutes, 28 seconds and offers material from Gardner, Kleiner, Straczynski, Zombies! Zombies! Zombies! book editor Otto Penzler, evolutionary biologist David Hughes, science writer Carl Zimmer and visual effects supervisor Scott Farrar. We get a quick history of zombies in popular culture as well as research and natural influences for the movie’s zombies. Like “Origins”, “Science” is too short, but it also gives us interesting information. Under WWZ: Production, four featurettes fill a total of 36 minutes, 18 seconds. We find remarks from Zimmer, Forster, Gardner, Enos, Farrar, Kleiner, Hughes, location manager Michael Harm, 2nd unit director/stunt coordinator Simon Crane, VFX supervisor Matt Johnson, stunt coordinator Wade Eastwood, military advisor Freddie Joe Farnsworth, weapons master Simon Atherton, military location advisor Andy Buckley, costume designer Mayes C. Rubeo, and actors Fana Mokoena, David Andrews, James Badge Dale, David Morse, Ludi Boeken, Daniella Kertesz, Peter Capaldi and Ruth Negga. The programs cover sets and locations, stunts and various effects, story/character areas, cast and performances, and some scientific connections. Too much of “Production” just regurgitates the film’s narrative, but we find a reasonable number of useful elements along the way. Though this doesn’t become a great examination of the film, it works fairly well much of the time. As mentioned earlier, the package also includes a DVD Copy of Z. This presents the movie’s theatrical cut and lacks any extras other than some previews. While I think World War Z sputters at times, it usually provides good action and excitement. The flick offers a fun twist on the zombie genre and keeps us entertained. The Blu-ray boasts very good picture and audio but lacks a strong roster of bonus features. I’d like a bigger package of supplements, but the Blu-ray brings home the movie itself in a satisfying manner.